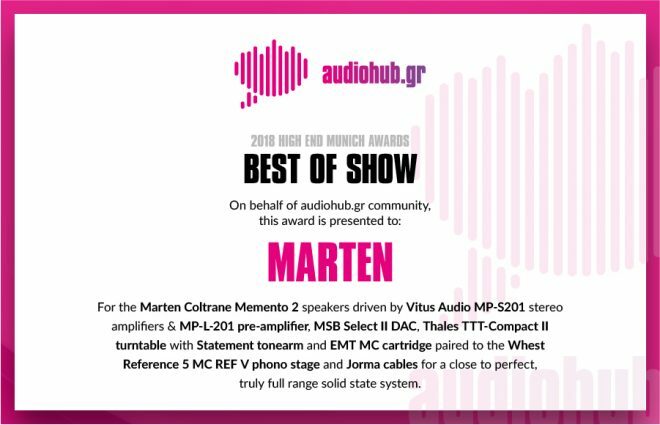 Marten Speakers » Blog Archive » Best of Show! This is amazing news for us. A massive thank you to audiohub.gr and everyone else that helped this happening. audiohub.gr is one of the bigger high-end audio forums with a huge following across the world.